After a sharp increase in the deal activity in the third quarter of 2018, Canadian M&A experienced a 14.8% drop to CAD $129.75B in Q4 from $152.4B in Q3, reflecting a 14.8% Q/Q decrease, and a significant increase from $32B in Q4 2017. 2018 was another strong year for private equity buyout activity sustained by a combination of low interest rates, largely supportive credit markets and record levels of cash to deploy. However, the private equity and pension plans have faced increasing competition from cash-rich corporates, driving up valuation. Recent market volatility and global political uncertainty are definitely headwinds to deal activity, but the abundance of capital will allow firms to continue to find opportunities. A prime example of this is OMERS’ acquisition of Australian REIT Investa Office Fund. Also, OMERS Private Equity sold MatrixCare Holdings to ResMed for USD 750MM. A few of the largest deals in the fourth quarter of 2018 were from real estate and mining sectors. One being International Petroleum Corp’s acquisition of BlackPearl Resources for CAD 723MM (discussed below) and the other being Alberta Investment Management’s acquisition of majority stake in Eolia Renovables de Inversiones SCR SA. On October 17, Canada became only the second country in the world to legalize marijuana nationally. Investors since then have been banking on faster grow in Cannabis industry and the excitement pushed up the value of cannabis stocks and drove the industry consolidation as pot vendors. In the first significant sign of consolidation in the sector, Aleafia Health Inc. announced in December that it will acquire Emblem Corp. in an all stock deal worth $173MM. This merger is planned to create the largest network of medical cannabis clinics across Canada. On October 10, 2018 the announcement was made that International Petroleum Corp. will acquire 100% of outstanding shares of BlackPearl in a $723MM all-stock transaction. This transaction will result in holders of common shares of BlackPearl receiving, directly or indirectly, 0.22 common shares of IPC for each BlackPearl share owned. The exchange ratio represents an acquisition price of CAD 1.85 per BlackPearl Share, representing a premium of 42% and a 22x EV/EBITDA multiple at the time of the announcement. The Transaction is consistent with IPC management’s strategy for IPC to be a leading independent oil and gas company focused on production of high-quality assets in stable jurisdictions around the world and generating long term value for all its stakeholders. The combined company will have the financial strength to potentially accelerate development of BlackPearl’s exciting growth projects. With the completion of this transformational acquisition, IPC will more than double its total 2P reserves, with an increased oil weighing up from 42% to 74%. Total 2P reserves and contingent resources of IPC increase close to six times. IPC’s 2P reserves life is increased by seven years and daily average net production is expected to increase by more than 50% in the years ahead compared to IPC today. In addition, IPC will have a deep inventory of high-quality drilling prospects and identified future development projects, with the potential to generate positive returns and deliver organic production and reserves growth. Last but not least, IPC will have strong financial liquidity from the cash flows generated by its operations throughout the world, as well as continued access to unutilized amounts under credit facilities to accelerate investment in the combined company’s growth projects. On October 17, 2018 the announcement was made that Oxford, an real estate arm of Canadian pension fund OMERS, will acquire 80% of outstanding shares of BlackPearl in a $3486MM all-cash transaction. With the existing 20% of BlackPearl shares that OMERS owns, the transaction will result in holders of common shares of BlackPearl receiving $5.18 for each BlackPearl share owned, representing a premium of 3.3% and a 34x EV/EBIT multiple at the time of the announcement. This transaction was announced after OMERS’ offer topped a bid from Blackstone Group by 2.8 percent. Upon the closing of the deal, the name of the ownership vehicle was changed to Oxford Investa Property Partners. Oxford will play the role of strategic asset manager, and Investa’s management platform will keep providing investment, asset, property and development management services. The Oxford team will pursue origination opportunities in Australia to expand the portfolio over time. Additionally, it is expected to actively grow its exposure to build-to-rent residential and industrial warehouse properties on a global basis. The deal can be seen as part of a wider trend of private equity investors looking at public markets when the unlisted property market is considerably expensive and competitive. Parkland Fuel Corp Acquires 75% of SOL Investment Ltd.
On October 10, 2018 the announcement was made that Parkland Fuel Corp. will acquire 75% of privately held shares in a $2,095MM cash-stock transaction. The transaction will result in Parkland acquiring 75% of the issued and outstanding shares in the capital of SIL for total consideration of CAD 1.57B, and SOL acquiring 12.16 million common shares in the capital of Parkland. This reflects a purchase price multiple on the 75% equity interest in SOL of 7.5x EV/EBITDA. Upon the closing, Simpson Group, the parent company of SOL, will own roughly 10% of the shares in Parkland. The deal is expected to be immediately accretive by 17%. The debt financing of roughly CAD 1.1B consists of CAD $470MM of senior secured bank debt, a CAD $325MM term loan and a term facility of CAD $300MM. Parkland expects to replace the term loan facility with alternative longer-term debt prior to the closing of the transaction. SOL has established itself as the largest independent fuel marketer and convenience store in the Caribbean region, with more than 4.8B of annual volume. As a result of the deal, Parkland is not only going to acquire stable revenue and earnings from 526 gas stations and adjusted EBITDA of $280MM, but also benefit from the key infrastructure in the Caribbean region to upgrade its supply advantage as well as expertise. On top of that, the addition of SOL will provide increased diversification from the North American market. Brian is a fourth year student studying actuarial science at the University of Waterloo. He was an analyst (Co-op) at OMERS Capital Markets in the Insurance Investment Strategy Group. 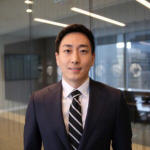 Prior to that, he interned at Mercer as a summer analyst in the Financial Strategy Group. Outside of school and work, Brian enjoys playing squash and soccer.